​Interested in your City Government? Click here to view our City Charter. 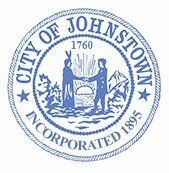 The purpose of the City Charter is to provide the legal framework for organizing and operating the government in the City of Johnstown. A lot of great information can be found in the City Charter – from the way legislation is passed to general powers and duties of City Officials. The Code of Ordinances contains the City Charter and Related Laws and the General Ordinances and Resolutions of the City. The term “ordinance” includes all legislative acts of the common council. The term “resolution” includes all motions, orders, rules, regulations and by-laws. As you can imagine this is a rather large document – it contains all of the laws and regulations set forth within the City limits – from permit requirements for parades /events to regulations on replacing your sidewalk to eligibility requirements for running for an elected office. Currently, we do not have an electronic version of the Code of Ordinances. The materials provided on this website do not constitute the official version of any charter provision or ordinance and may contain errors in form or substance. Official versions of the materials are available from the City Clerk’s Office.